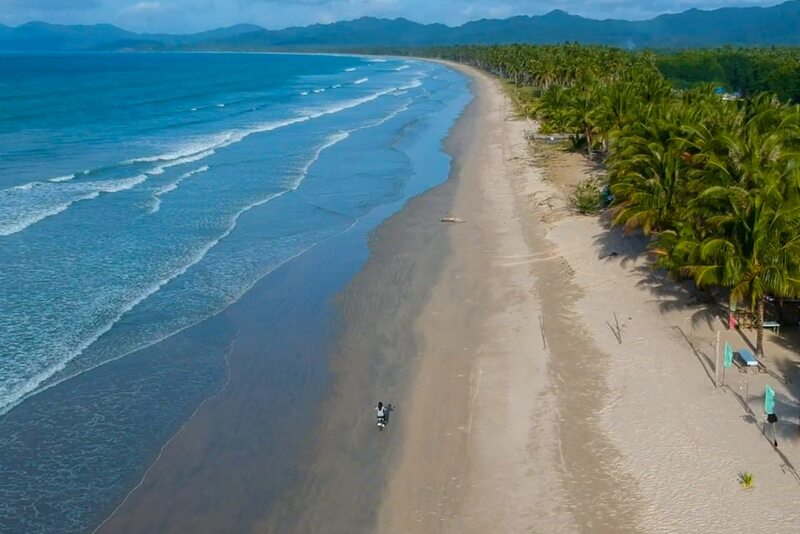 San Vicente, a first-class municipality located on the northwestern side of the main island of the province of Palawan, is home to the longest white sand beach in the Philippines, roughly three times the length of Boracay’s famed White Beach. San Vicente's 14.7-kilometer beachfront, popularly called Long Beach, is being converted into an emerging tourist destination. It has two rocky cliffs interrupting the coastline and dividing the area into three distinct coves. Long Beach spans the coastline of four barangays -- Poblacion, New Agutaya, San Isidro and Alimanguan -- and has still few commercial developments. Meanwhile, the area of Port Barton, a small fishing village located in one of the sheltered bays of San Vicente, offers more options for tourists in terms of accommodations, dining options and accessibility. For those planning to visit San Vicente and want to stay overnight, the main options would be to travel by land to either Port Barton or the Long Beach area. Both have that remote, laid-back, peaceful and uncommercialized charm. Accommodations are still mostly rustic, catering to international travelers and backpackers, while electricity and and internet connectivity in many spots are still not that reliable. Getting to either Port Barton or the Long Beach currently involves land travel from either Puerto Princesa or El Nido on newly constructed roads. But with the planned airport in San Vicente, road improvements and large hotels in the pipeline, it won’t be long before this paradise gets discovered. 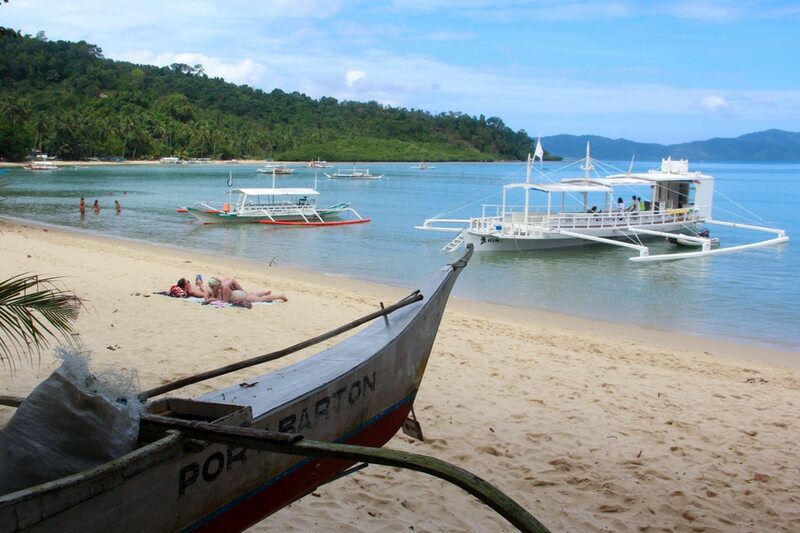 Port Barton is about 146 kilometers from Puerto Princesa while Long Beach is a further 40 kilometers away. There are three main options to get to both spots. You can ride a bus, van or if you know how to drive, you can rent motorcycles (P500 - P800 a day) from either Puerto Princesa or El Nido and drive yourself to your chosen destination. While most of the ride is on the fully paved national highway, there are areas leading to both Port Barton and San Vicente that pass recently built roads with bumpy, unpaved sections that curve through the mountains. The preferred travel between Port Barton and San Vicente is by boat (30 to 45 minutes) as the two areas are separated by a cove. From the Puerto Princesa International Airport or anywhere in the city, ride a tricycle or multicab to San Jose Terminal (10-15 minutes). Fare is P12 for regular rides from the city or about P50-P100 for special trips from the airport for 2 including luggage. BUS: Board a bus from San Jose Terminal going to Port Barton. There is only one bus that leaves daily at 9 a.m. Bus fare from Puerto Princesa to Port Barton is P250 per person. Travel time is 4 hours by bus. VAN: Ride a van from the San Jose Terminal in Puerto Princesa to Port Barton. Departure times are normally 7:30 a.m., 9 a.m., 11 a.m., 1 p.m., 2 p.m., 4 p.m. and 6 p.m. The ride takes about 3 hours. Tickets cost P300 (from terminal) to P500 (pick up from airport/hotels in the city) per person. Alternatively, you can rent/charter a private van from accredited travel agencies or from the airport. Cost of van rental usually ranges between P4,500 to P6,000 one way (ideal for bigger groups). JEEP: Ride a jeep from Puerto Princesa to Port Barton. Jeeps usually leave at 9 a.m. from Puerto Princesa City. The cost of travel is P250 per person and takes about 5 to 6 hours. From the terminal of Port Barton, walk to the mainland/bay area. From El Nido, there are vans that go directly to Port Barton. Vans leave daily at 8 a.m. and 1 p.m. from the terminal in El Nido. Fare is P600 per person and travel time is 4 hours. From the Puerto Princesa International Airport or anywhere in the city, ride a tricycle or multicab to San Jose Terminal (10-15 mins). Fare is P12 for regular rides from the city or about P50-P100 for special trips from the airport for 2 including luggage. BUS: Board a bus to San Vicente. Buses for San Vicente usually leave around 6 a.m. (first trip) and 1 p.m. (last trip). Bus fare is P200 per person. Travel time is about 5 to 6 hours by bus. VAN: Board a van going to San Vicente. Vans are scheduled to leave the terminals at around 4 a.m., 7 a.m., 9 a.m., 11 a.m. and 1 p.m. Shuttle vans are P300 per person. Travel time is about 4 to 5 hours. From the town proper or poblacion of San Vicente, hire a motorcycle or habal-habal to take you to your chosen accommodation. Port Barton is still a small, sleepy village with a growing number of accommodations and simple restaurants suited for budget travellers and backpackers. There are several resorts fronting the Pamoayan Beach extending all the way to White Beach, as well on several private islands. In Port Barton, locals have converted their residences into homestays, which are mostly rustic beachfront cottages catering to tourists. El Busero Inn. Located along the main road in Port Barton near the terminal, El Busero Inn offers the most convenient and budget-friendly base for backpackers. Fan room with common CR starts at P500 a night. The resort also runs an open-air restaurant. Deep Moon Resort. Located on the beachfront of Port Barton, Deep Moon is one of the oldest resorts in the area offering rustic cottages and accommodations. Rooms start at P1,100 a night. Inaladelan Island Resort. Inaladelan Island is a 12-hectare private island and camping paradise in Palawan, located about 15-20 minutes by boat from Port Barton in San Vicente. Inaladelan provides camping tents with foam beds and pillows to make you feel comfortable during your stay. Overnight camping rates start at P2,500 per person minimum of 2 pax. White Beach Annex of Deep Gold Resorts. A remote and private resort located on the beach front. The only way to access the resort is via boat from Port Barton. They only have 8 rooms and limited access as getting here involves a 10-minute boat trip from the village. P2,900/night. 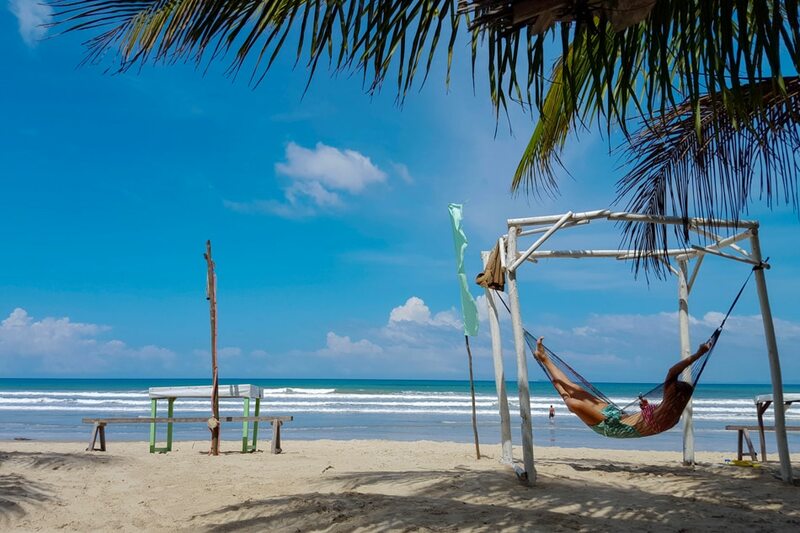 Most of the accommodations in San Vicente’s Long Beach area are located in the town center, which is about 10- to 15-minute motorcycle ride away from the beach. 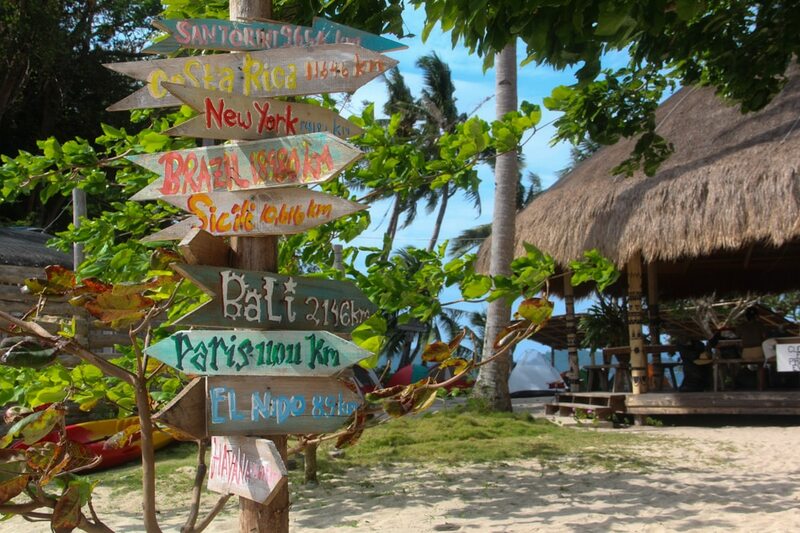 There are also a few beachfront hotels in Barangay New Agutaya. Turublien Long Beach Inn & Beach Bar. A simple and rustic lodge with just 10 rooms located right in front of the Long Beach in San Vicente. The main structure with rooms are just separated by a small river from the beachfront area, which you have to cross by boat or raft. Fan rooms just cost Php 600 a night while aircon rooms cost P1,200 a night. Peace and Love Resort. Located in the main poblacion of San Vicente, Peace & Love Resort has become a favorite among travelers, particularly international guests. They have an infinity pool and terrace and offer motorbike rentals. Their sunrise eco (fan) rooms start at P2,000. Jurisu Resort. Located just a few steps from the famous San Vicente Long Beach, Jurisu Resort has direct access to the beachfront and the main road. Guests have a choice between staying in one of 3 traditional cottage-inspired huts (equipped with aircon and modern amenities) or standard superior rooms which both cost P3,100. Club Agutaya. For those who don’t mind spending more for a bit of luxury, this eco-environmental boutique resort currently offers top-quality accommodations right along the Long Beach in Barangay San Isidro. The resort has a swimming pool and in-house restaurant called Cafè Lily, which features a selection of local food using locally available produce. Rooms start at P8,800. 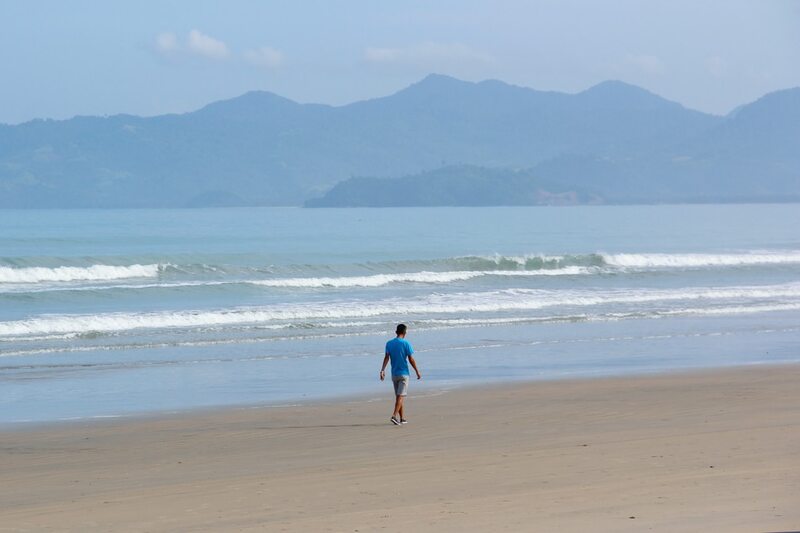 Unlike the popular beaches of El Nido, Port Barton and San Vicente offer a laid-back, uncrowded and uncommercialized experience, ideal for people who just want to commune with nature and enjoy the simple life by the beach. Island-hopping is the most popular activity in Port Barton and San Vicente, with established island-hopping tours similar to those found in El Nido. 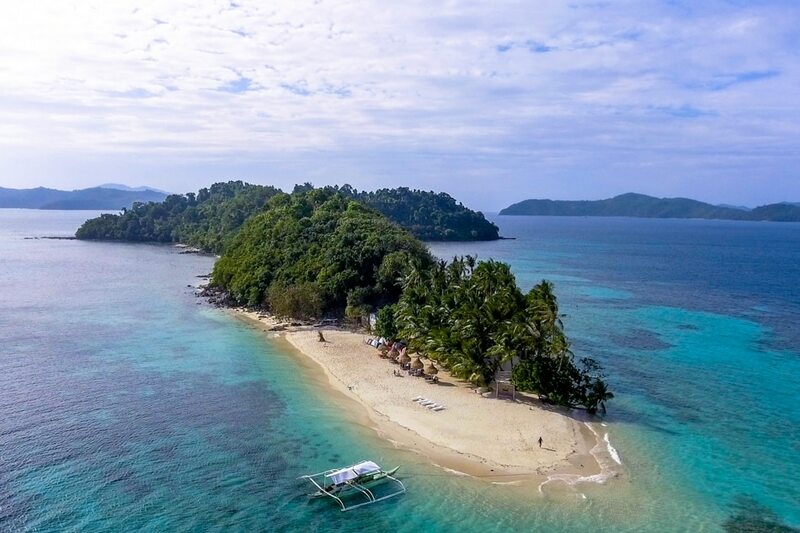 There are several tour packages ranging from P750/pax that includes Twin reef, Wide reef, Exotic island and German island to P3,000/pax that includes Buayan Island and Daplac Cove. It might take you the day just to walk the whole stretch of the Long Beach and back. Other visitors hire a habal-habal or motorcycle to ride around the stretch. Rides range from P20 for short rides to and around the poblacion to P300 for half-day drives. You can also rent a motorbike to drive around the whole stretch. Motorbike rental costs P500-P800 a day. Paumayan Waterfalls is a small waterfall, just a 4-km walk or motorbike ride north of town on the rough new road to San Vicente. Bigaho Waterfall is another waterfall in the jungle about 13 kms north of Port Barton near the beach. Visits here are included in some of the packaged boat tours though it is also possible to get there by walking (2.5 hours) or by motorbike (which can be difficult during the wet season). Hiring a motorbike driver to take you there will cost about P200 per person. From Port Barton, it is possible to kayak to one of the neighboring islands or swim out to watch the sunset. You can rent a kayak for P75 to P100 per hour. For scuba divers, there are various spots around San Vicente ideal for diving. Easy Dive and Aquaholics offer boat dives including equipment and lunch for P3,500 to P4,000. Many resorts along the tourist strip of Port Barton double as restaurants, offering traditional Filipino fare and English breakfasts. There are also a few specialty restaurants in Port Barton. Reef Cafe. A cafe that serves highly rated burgers and fries, fish and chips, bagels as well as vegetarian and vegan options. Price range is P270 to P350 per dish. Jambalaya Cajun Cafe. A beachfront restaurant specializing in Cajun cuisine, authentic gumbo, Thai curries, coffee and fresh fruit shakes. Meals start at P240 to P350. Ayette's Bamboo Restaurant & Bungalows. A family-run place that serves seafood, fish curry and local dishes like sinigang. Main dishes are P100 to P200. Gorgonzola. An Italian cafe serving brick-oven pizza and pasta dishes, focaccia sandwiches, bruschetta, power breakfasts and more. Dishes cost P150 to P250. Gacayan. A backpacker-friendly joint serving banana pancakes, local specialties like grilled stuffed squid and budget rice meals. Meals range from P50 to P250. Mabuti. A vegetarian-friendly cafe that serves healthy and organic fare including shakshuka breakfasts, quiche, ciabatta, salads, pasta bowls, yogurt and granola bowls, vegetarian burgers, homemade ice cream and French–pressed coffee. Price range is P160 to P250. Barton Bistro & Cottages. A chill beachfront hangout serving drinks and mostly Asian/Filipino main dishes like crabs in coconut milk and lemongrass, chicken curry with basil, spicy squid and chicken pork adobo. Dishes cost P210 to P250 while drinks cost around P75 to P120. Reggae Bar. A prime beachfront bar where you can enjoy cheap drinks and listen to a reggae band fronted by one of the owners. Rum coke starts at P50. Turublien Long Beach Inn & Beach Bar. 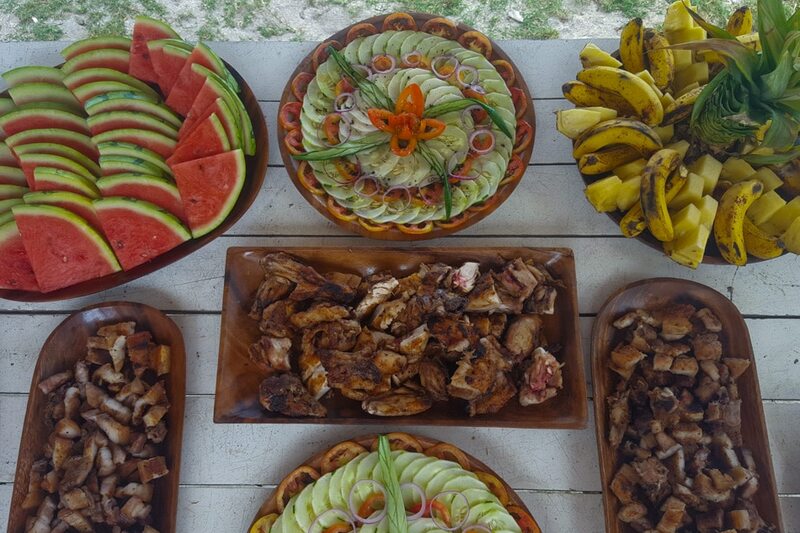 The beachfront bar serves grilled specialties and Filipino dishes. P200 per person. Peace and Love Resort. The in-house restaurant of Peace and Love Resort serves a variety of cuisine (Filipino, Western, Thai, Mexican, pizza, etc.) and can arrange sunset cande-lit dinners for checked-in guests. They have a full-service bar. Price range is P255 to P350 per dish. Farm Belle Restaurant. 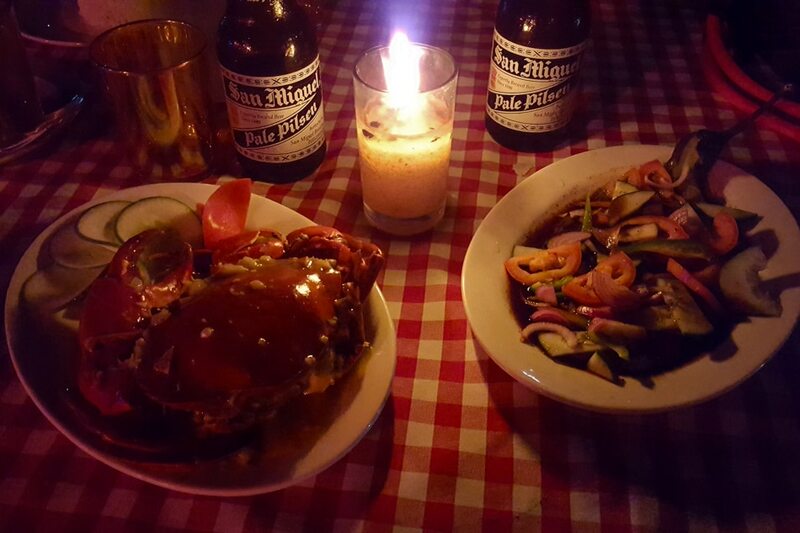 A bar that serves seafood, local Filipino favorites and grilled specialties. Dishes range from P150 to P200. Bay Walk Food Court. An open-air food court near the public market, pier and tourist office with several stalls serving fruit shakes, grilled specialties, pizza, seafood and rice meals. Meals start at P150 to P300. For souvenirs, travel, and everyday wear, look for Palawan shirts made by Laag PH. Laag, a Bisaya word that means pasyal in Tagalog, is a clothing brand that makes creative and unique souvenirs to show the festive cultures down south. 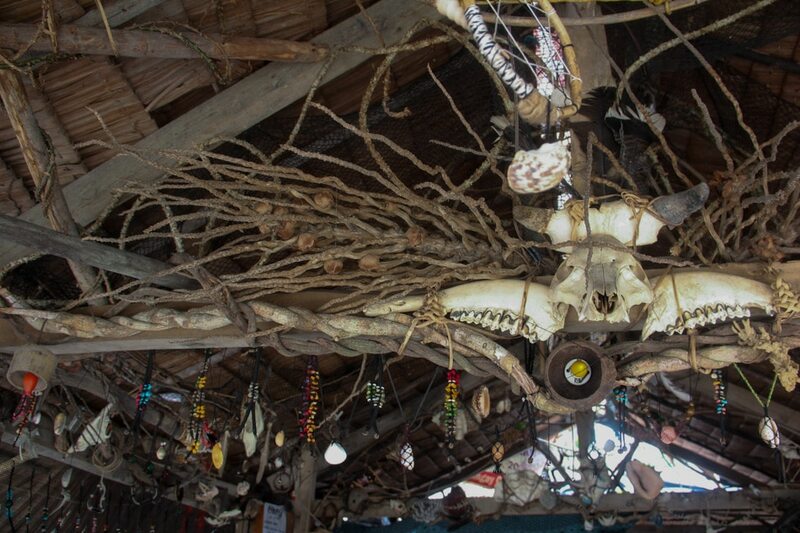 You can also buy local handicrafts, Palawan wood carvings, dreamcatcher necklaces and local delicacies like cashew products, honey, and dried fish. 1. Respect the surroundings. Don't leave your trash on the beach. Better yet, don't create trash. Avoid buying drinks in plastic bottles, using plastic straws and plastic bags. 2. Respect marine life. Don't disturb turtles, fish and other creatures. Don't step on corals because those things are fragile. 3. Respect people. Avoid playing loud music that disturbs others. Be sensitive by wearing appropriate clothing. Wearing bikinis near churches, schools or offices may offend the locals. 4. Patronize establishments that don't pollute. If your hotel's drainage leads directly to the sea, maybe it's time to check other accommodations. 5. 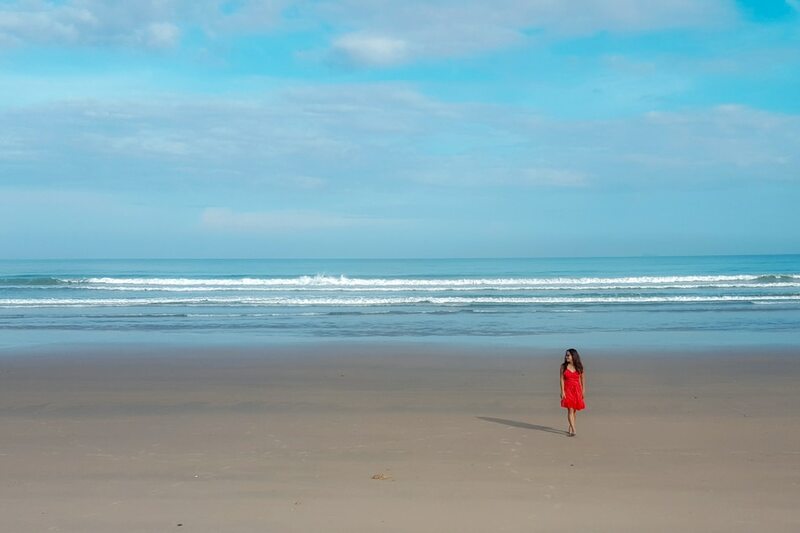 Pick a beach that doesn't get a lot of people as congestion puts stress on the environment.